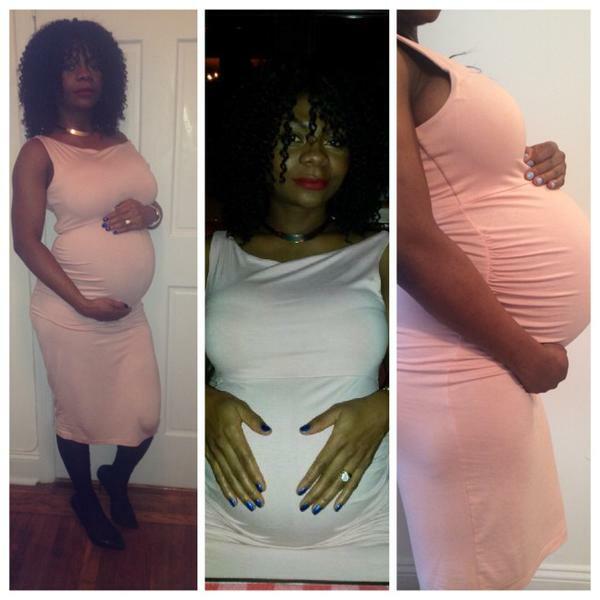 Heavily pregnant Big Brother Africa star, Karen Igho Rakos has written an emotional letter to her unborn child. 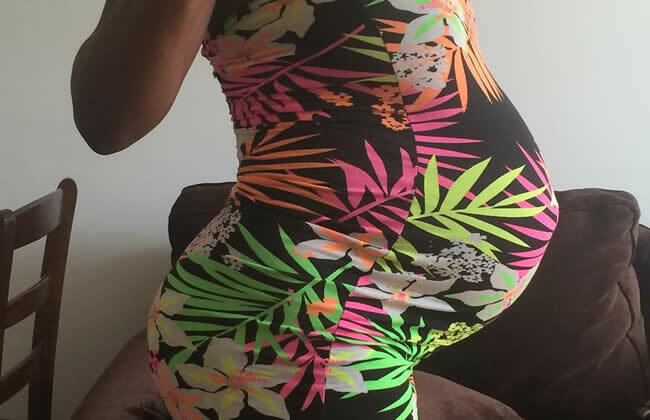 She shared it today morning...along with a photo of her huge baby bump. I write this letter to my unborn child from the depths of my soul. You've entered my womb and made my life complete and whole. I never thought I would be chosen for such an awesome task. It is a greater blessing than what I ever could ask. I can almost imagine you in my mind. Beautiful, Happy, Bouncing, flashing a smile so kind. Feeling you flutter is a sensation like no other. It does wonders for the joy of this soon-to-be-mother! You create a glow in me I never knew I would see. It is true happiness that sets me on cloud nine manifested deep inside of me! You're my baby, my child, my heart, and my wonder. I pray we create a bond that no one can put asunder. You're a designer's original! A creation from the King! I can hardly wait for you to enter the world and see the joy you bring. Sweet baby of mine, you're a magnificent gift from above. Living proof of how your father and I have shared our love. I hope you have your father's eyes Then you will go into the world able to look at all things wise. I hope you inherit my ability to plan. With that you will be able to face all things in life as a strong woman or man. I hope you receive from your father his selfless ways. For this the Heavenly Father will bless you, as he did him, all of your days. I hope you learn from my spirit and let no one take it. Believe me you will need it in life, and many will try to break it. But with that spirit you must have your father's center. With that you will be cautious of any door you enter. I want you to have my curiosity. There's nothing wrong with questions you may blurt! But receive your father's discernment, so you'll know when to let go before getting hurt. Have my big heart; know what emotions are and how to be real. Share your father's strength so you can handle what you feel. Share my sense of humor! Laugh a lot it helps you through life. Share your father's sense of duty. Know how to be serious and take strife. I'm emotional so I tell you it's okay to blubber once and a while like your Mom. But learn to develop what your father has; an excellent sense of calm. Can't wait to see meet you my little king or queen. Love, mom.